Hello Dealsnloot Readers,We are back again amazing loot trick. We are post everyday free recharge tricks. Now we are were to share a new app of free recharge. 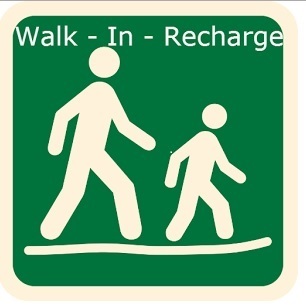 WalkIn Recharge App : Here i am come with a new app from this app you can earn free recharge by clicking n ads, no need to download any extra app only click on ads and earn free recharge app. Before many app gives free recharge by only clicking on ads like balbola,frccoin,pretty joy and much more now it’s WalkIn time.So Go Fast And Grab This Loot Free Recharge App. New Update :- Due to technical reasons ...some user not getting ads....but wait for some times....ads 100% show soon...I am personally talk with walkin Recharge app admin. Update - After So many Long Day Walkin Recharge App Ads And Recharge Start Again.Your Account Verify With In 2 Hrs After Sign Up.After Verify To Get Ads And Daily Get 5 Chance to Earn Rs. 10 .Don't Click More Then 5 Times To Avoid Account Block Problem.Try To Click pop - Up Ads To Quick Verify. 2. Click "create a new account"
Instant free mobile recharge across all operators in India. Supports Airtel, Aircel, MTNL, Idea, Loop Mobile, MTS, Reliance, Tata Docomo, Tata Indicom, Uninor, Videocon, Virgin Mobile, Vodafone. Invite And Join Your More Friends and Create Your Big Own Group And Earn Unlimited Free Recharge Hole lyf.